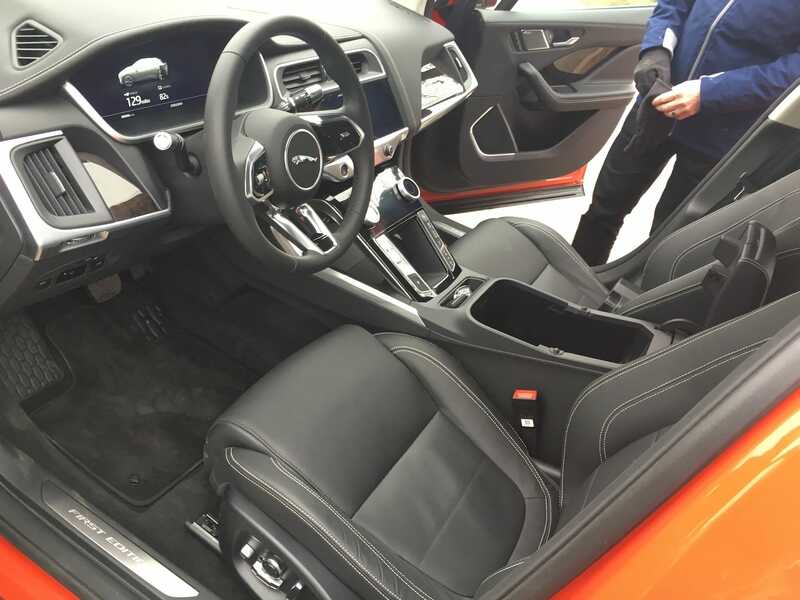 Benjamin Zhang/Business InsiderThe production Jaguar I-PACE. The Jaguar I-PACE electric crossover SUV will make its North American debut this week at the New York Auto Show. 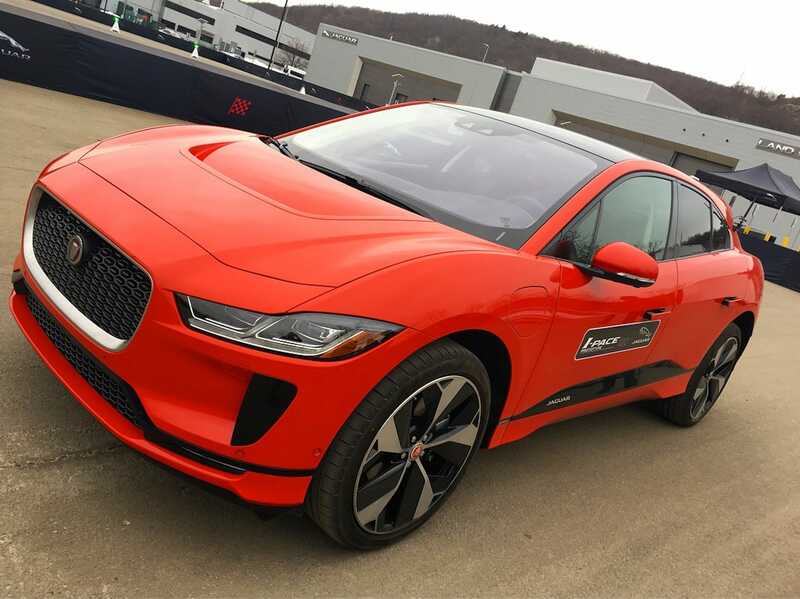 The I-PACE has all-wheel-drive, 394 horsepower, and can hit 60 mph in 4.5 seconds. The Jag has a 90kWh battery and a range of 240 miles. 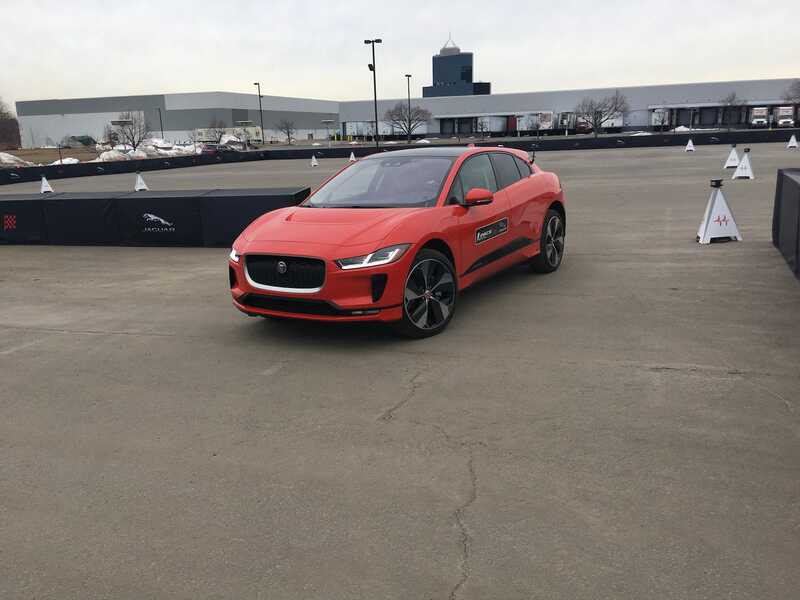 The Jaguar I-PACE starts at $US69,500. 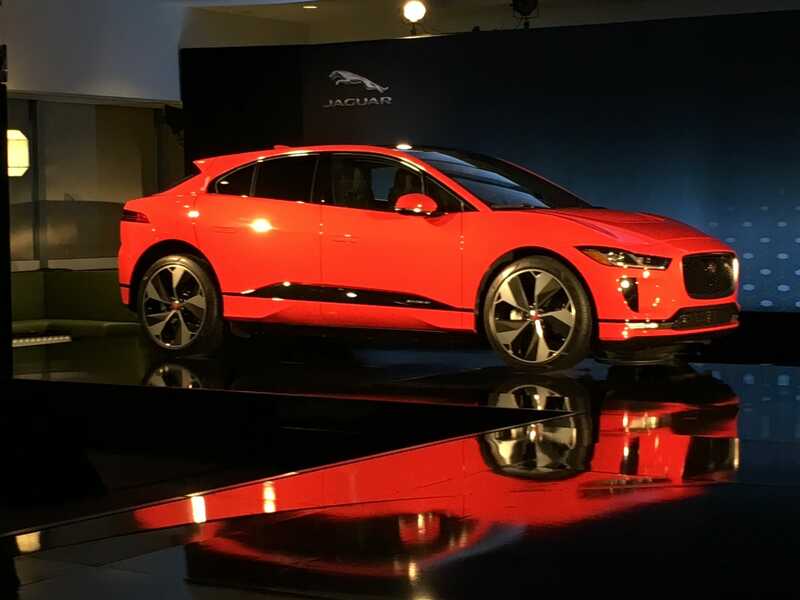 Jaguar is going all-in on electric mobility with the new I-PACE crossover SUV, the company’s first foray away from internal combustion. The legendary British marque debuted the stylish crossover in production guise earlier this month at the 2018 Geneva Motor Show. 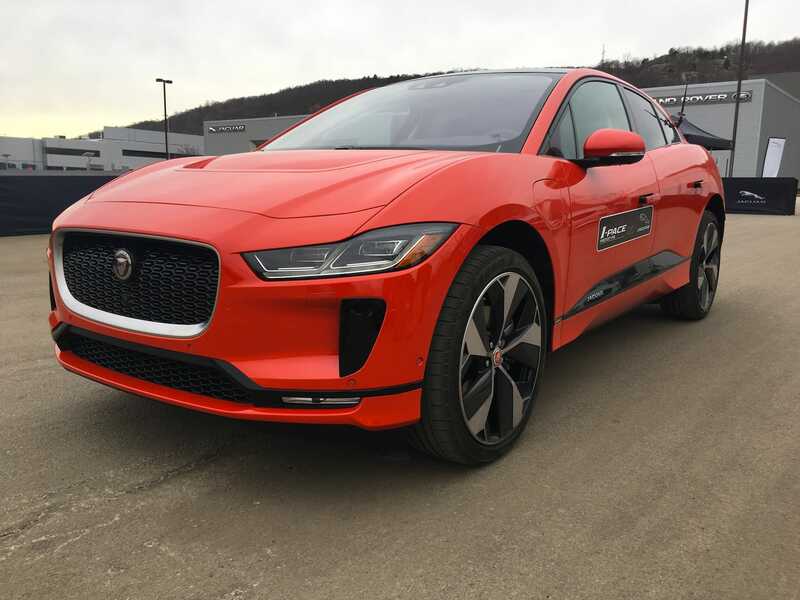 The Jaguar I-PACE is powered by a pair of synchronous permanent magnet electric motors – one mounted on each of its axles, thereby giving the EV all-wheel-drive. Feeding the motors is a 90kWh lithium-ion battery located underneath the passenger cabin. 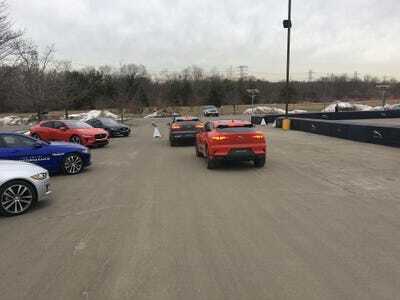 The result is pretty impressive: 394 horsepower, 0-60 mph in 4.5 seconds, and a range of 240 miles. With a starting price of $US69,500, the I-PACE isn’t so much targeted at the Tesla Model 3s of the world when it arrives later this year. It’s decidedly more ambitious. 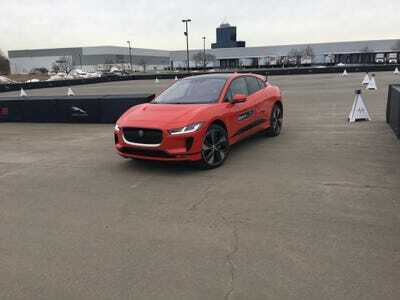 The Jag is going big-game hunting with the larger, more powerful, and more expensive Tesla Model X in its sights. 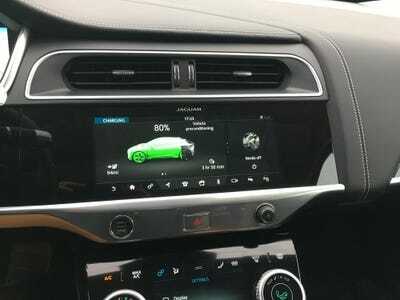 On Tuesday, Business Insider got the chance to climb behind the wheel of the electric Jag for a brief stint ahead of its North American debut at the New York Auto Show this week. 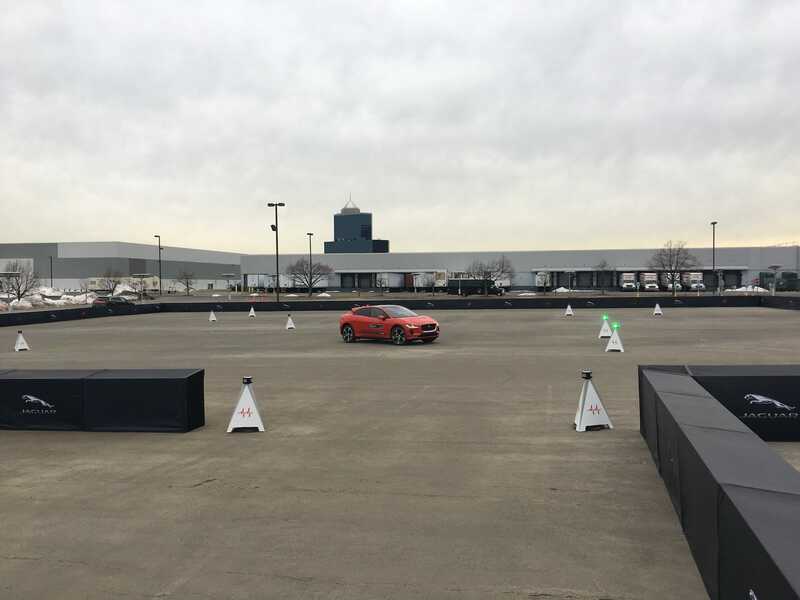 This is merely an early impression of the I-PACE based on a first drive. 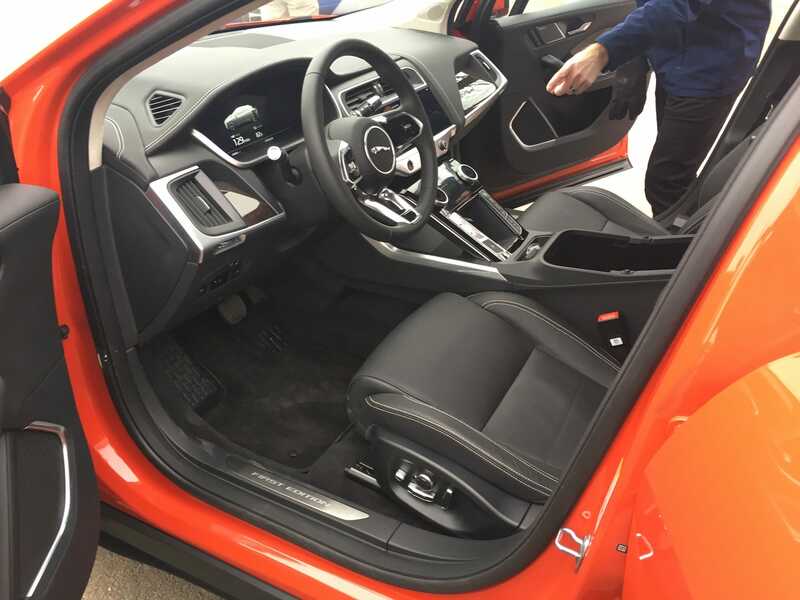 We’ll have a detailed review of the car at a later time. Business Insider had the chance to take a production I-PACE around a small, autocross-style track that Jaguar Land Rover put together at its new North American headquarters in Mahwah, New Jersey. 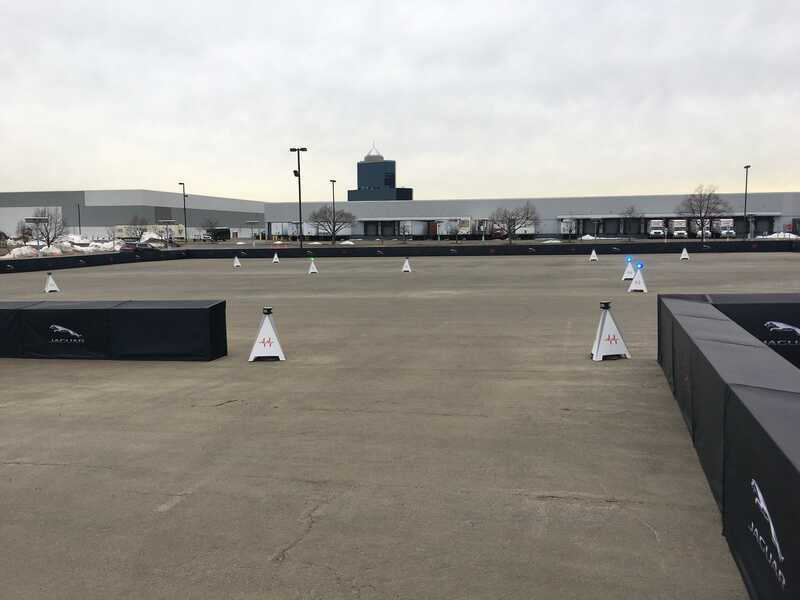 The course features a series of smart cones that uses lights to direct the driver around a constantly changing track. No two drivers will encounter the same set of turns on a run. It’s a pretty novel idea. 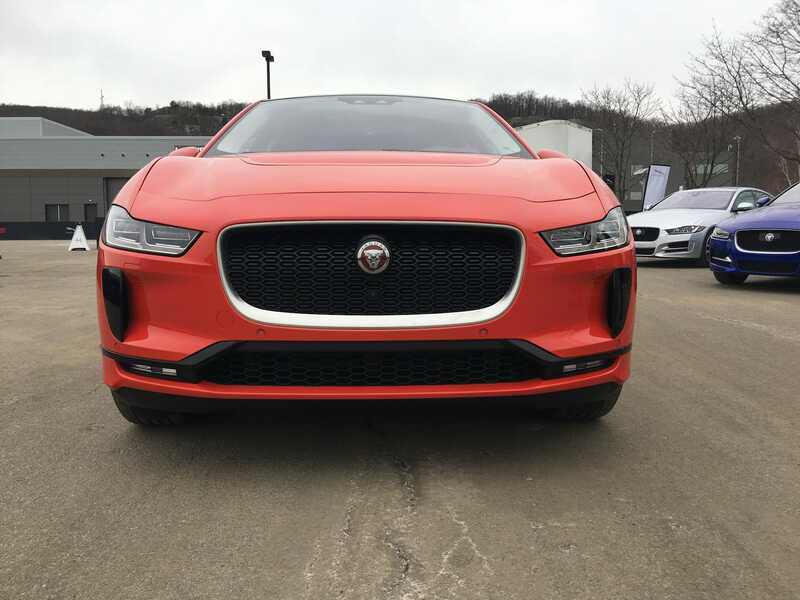 Unlike most EVs, Jaguar decided to keep the brand’s signature front grille. This is not merely for show. There are radiators back there to cool components like its massive battery pack. The top part of the grille also ducts air through the large hood vent, thereby helping with the car’s aerodynamics. The I-PACE utilises a design principle called cab forward, which pushes the cabin towards the front of the car while moving the wheels to the far corners. 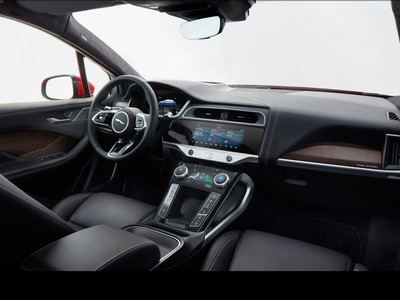 This gives the driver a commanding view of the road while maximizing cabin space. According to Callum, the squared-off rear end is there for aerodynamics. 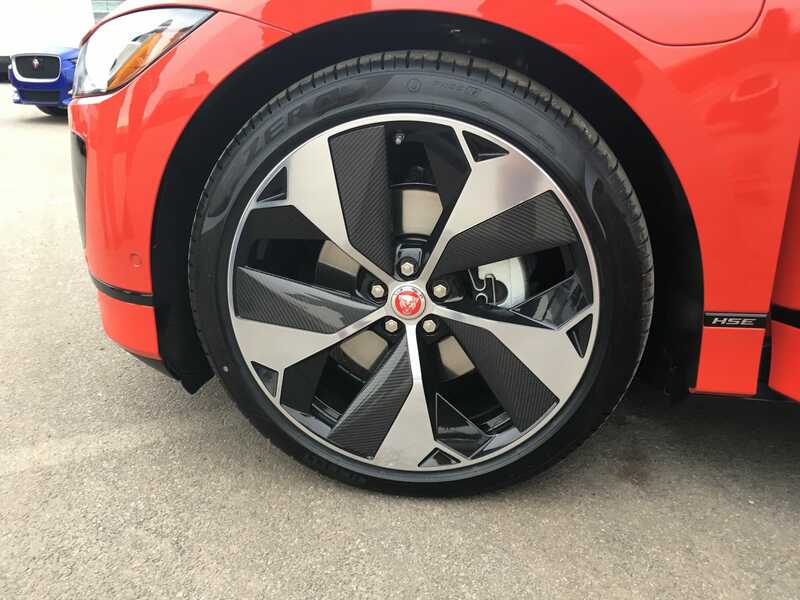 The Austrian-built I-PACE is also riding on some seriously cool 22-inch wheels. But it’s the cabin that really shines. In front of the driver is a 12.3-inch TFT digital readout. … a 5.5-inch secondary touchscreen. 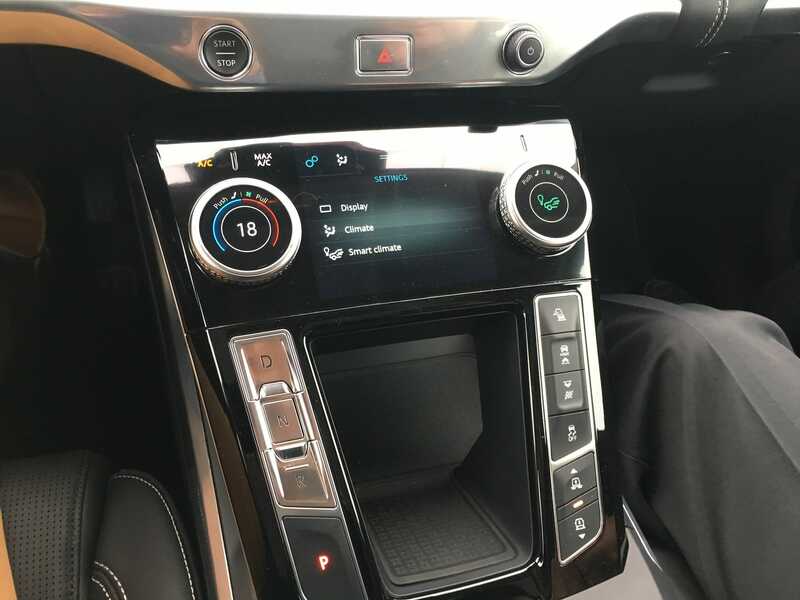 There is also a pair of multi-function rotary knobs with built-in displays. The materials, as well as the interior-build quality, both felt solid. 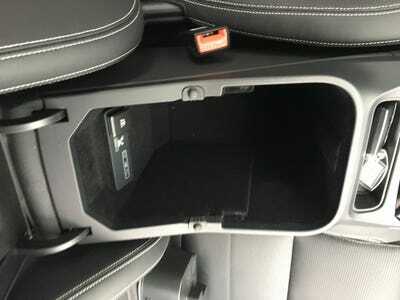 Between the seats is a massive storage compartment. Open up the lid, and you’ll find room for pretty much whatever you want. Word on the street is it will fit two bottles of wine. 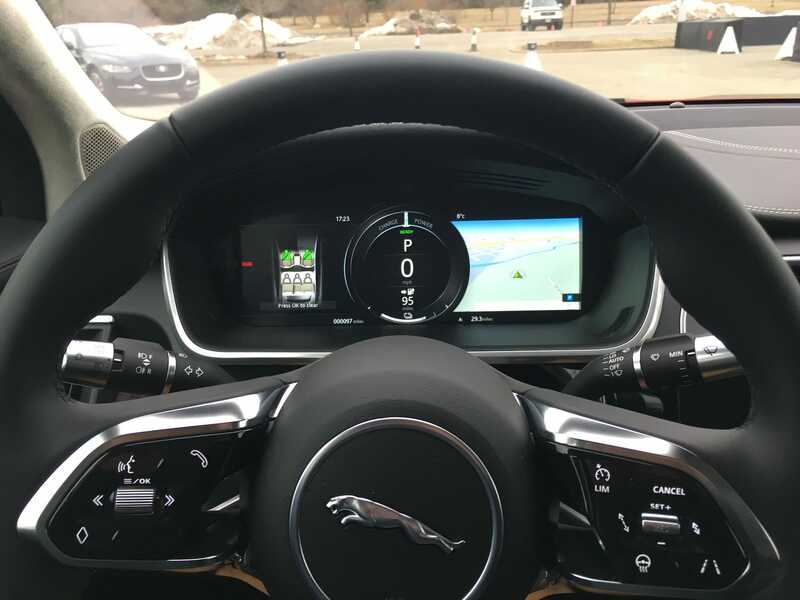 Here’s a prettier photo of the Jag’s cabin. With the entire cabin pushed forward, designers were able to create more room for the back seat passengers. 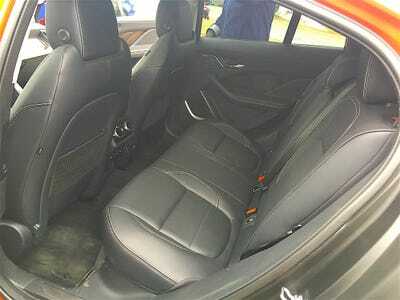 As a result, there’s plenty of head and leg room for folks riding out back. Alright. It’s time to drive. Stomp on the gas, and the I-PACE can really boogie. Not Tesla ludicrous boogie, but fast enough to be a lot of fun. 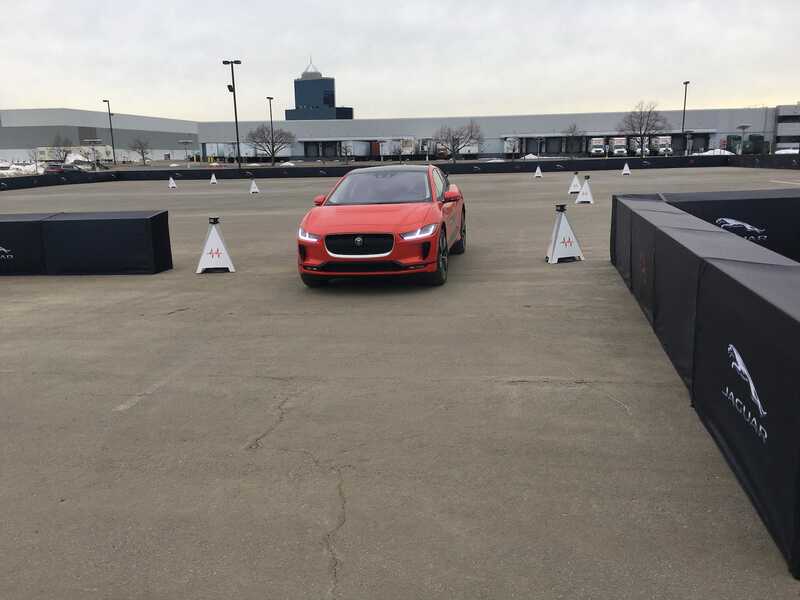 On the tight course, the Jag proved to be quite the nimble performer. Again, not Porsche Cayman nimble, but pretty darn good for a roughly 5,000-pound electric SUV. At the end of my drive, I found myself intrigued by what the I-PACE could become. Based on my short time with the Jag, I can’t really see it as a direct rival to the Model X. It’s much smaller, less powerful, and less insane. 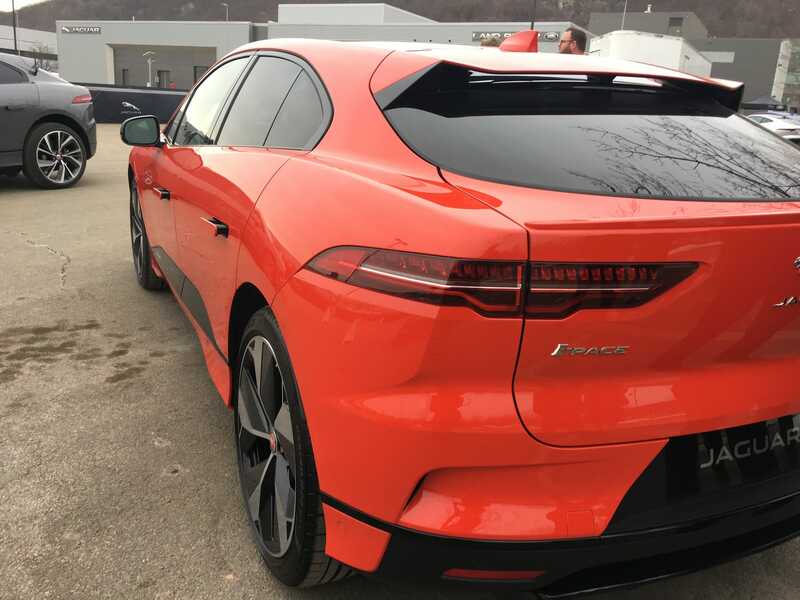 However, I can see the I-PACE as a complement to the Model X. 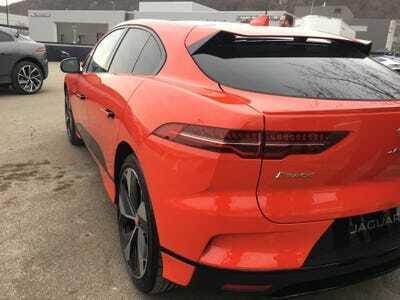 In fact, I can see the Jag as a viable option for electric SUV shoppers who aren’t bowled over by the Tesla’s six-figure price tag, crazy doors, and supercar-shaming acceleration. Once the poster child of old-world British charm, Jaguar is now a brand marching towards the future with aplomb. 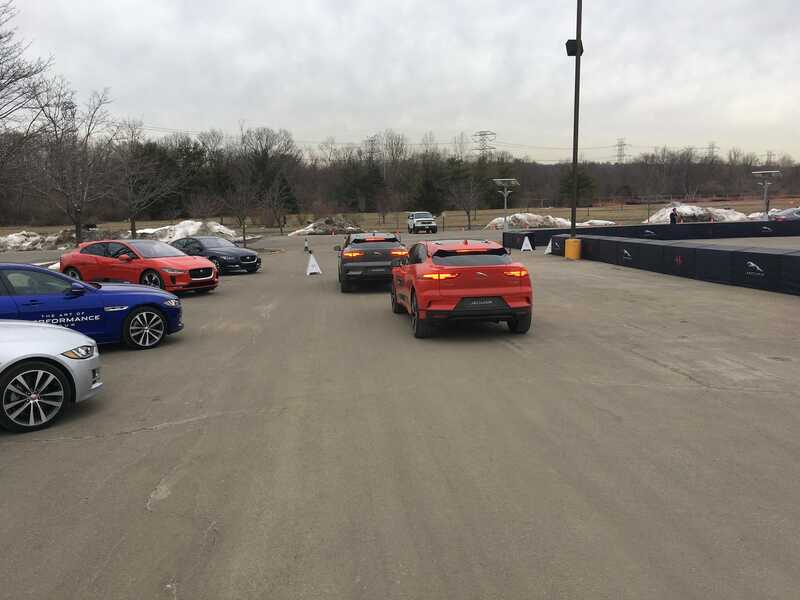 And the I-PACE is leading the way.